Mordecai saved King Ahasuerus life, by reporting to Esther to inform the king that two of the King’s Enuchs were plotting to kill him. But the king did not thank Mordecai for what He had done. The king did not reward Mordecai. But God saw what Mordecai had done. God saw that Mordecai had not be rewarded for been a good man. God saw and did not forget about Mordecai but it seemed like the King had forgotten. But as long as God has seen that is enough. You don’t need man to recognise you, even if they don’t recognise you, you should not worry. Because God Himself has seen you and will reward you for your good works. And when God rewards you , you will not forget. You will know that God has His eyes on you and His word does not return to Him void. Man may not recognize you because they forgot , or sometimes it could even be intentional. But it doesn’t matter because God sees and knows. Matthew 10:30 ; God knows how many hairs you have on your head. But straight after Mordecai’s good works, somebody else had been rewarded; Haman. Haman was promoted and was given alot of authority. We didnt see Mordecai been rewarded straightaway. And that makes me understand that sometimes, after you have done a good deed, or you have helped others or you have been there for others and have been selfless. Nobody recognizes you, its as if they did not see you do it at all. Its as if what you did was invisible to man. But just know that it wasnt invisible to God. And God will bless you for obeying His word and the good you are doing. Don’t be shocked if you don’t recieve the reward straightaway, don’t be aggregaited, don’t be furious. Just give thanks to God, you have not been forgotten. Because there will be a time where you will enjoy the fruits of your goodness. You are not rewarded now because God has a set time for everything. You are not rewarded now, because God is planing How He can reward you greatly. You are not rewarded now because the time is not yet. After you sit an exam, there is a period of waiting for the examiners to mark your work, and a period where they will tally your marks and release your results. The results of all your hard work, is not released on the same day in any major exams. But because you know you studied , you believe and expect to do well. The King could not sleep. What would make the king sleepless, after sleeping well many nights of not rewarding Mordecai. That day the King Recognized Mordecai. When God is ready to release your reward, it doesn’t matter what the situation is Your blessings will arrive. The King may not have heared God say reward Mordecai now, but God orchestrated Mordecai’s blessings to be released at a time where a grave was been dug for Him. God knew when the right time was to reward Mordecai. And God knows the set time to reward you. And at the appointed time, Mordecai was rewarded. And Mordecai was rewarded greatly. So be patient for God to reward you. Don’t rush to hear congratulations from man. Just Know that You have Abba Father who sees everything you do , and He will reward you in His time. Every act of Disobedience has consequences. There are somethings which have been birthed as a result of our disobedience, those things have to be removed in-order for God’s will to manifest. Every decision we take in life has an outcome. There are certain decisions, certain acts that have been taken out of God’s will and disobedience to God’s word and even though God has forgiven us and new blessings will be released we sometimes have to face the consequences of that sin. Its not that God has not forgiven us. Or God doesn’t have another plan. Or that its the end. Or we are never going to make it. Its just because that decision was taken out of God’s will and that sin produced bad fruits, and those fruits have to be removed in other for new fruits to grow. We have to learn how to not only ask for forgiveness but to repent. Repent from the sin that has produced bad fruits. But why do we have to face consequences when God has forgiven us? Sometimes the only way we truly learn from our mistakes is when we see the results of our disobedience. Its sad how for a long time, knowing that God loves us, knowing that the reason He wants us to walk in obedience with Him is because He knows and wants the best for us, knowing that He sent His son Jesus to die for our sins still didn’t wake us up from that sin. Knowing that He wants a relationship with us. Some of us had to get to a dead end.suffer from the results of disobedience. Some of us even near a death experience. Some of us even to the point of brokenness, some of us even to the point of been inflicted with disease.some of us even to the point of suicide, and drugs and alcohol consuming our precious lifes. Before we saw that Jesus still had His arms wide open. Jesus came to rescue us. To heal us, to deliver us, to remove us from the mess. Thats when we began to wake up. Punishments are to wake us up. Are to make us fully repent. Are to help us understand that sin has consequences. Are to make us run far away from that sin. The Lord disciplines those He loves. Sometimes if we are not disciplined we will make that mistake over and over again. We will continue walking that route to darkness, but God wants to wake us up. The earth we live on does not belong to us. The life we have is not our own. We’ve got to know who is in charge and follow His commands. We cant live life any way we want. Because our life’s are precious to God. And even if it means He has to discipline us so we don’t continue to walk to a dead end, He will. After David slept with Uriah’s wife, and killed Uriah so He won’t find out. God sent Prophet Nathan to rebuke Him. 9 Why have you despised the word of the Lord by doing evil in His sight? You have struck down Uriah the Hittite with the sword, have taken his wife to be your wife, and have killed him with the sword of the sons of Ammon. 10 Now therefore, the sword shall never depart from your house, because you have despised Me and have taken the wife of Uriah the Hittite to be your wife.’ 11 Thus says the Lord, ‘Behold, I will raise up evil against you from your own household; I will even take your wives before your eyes and give them to your companion, and he will lie with your wives in [a]broad daylight. David confessed His guilt to the Lord, and God forgave Him. But there were consequences David had to face as a result of His disobedience. God forgave David but The sin He committed had punishments awaiting Him. One of The Lord’s punishment to David as a result of sleeping with Uriah’s wife and killing Uriah was that ” I will cause your own house to rebel against you. And thats what happened in the next chapter, even after God forgave David and blessed Him with a new son Solomon. David’s Household started to rebel against Him. His son Amnon raped his own sister Tamar. And His other son Absalom revenged Amnon for what he did by killing Him. So David’s household started rebelling against Him. They began to go wayward. Another one of the Lord’s punishment to David was that ” I will give your wives to another man before your very eyes, and he will go to bed with them in public view. David’s own son Absalom slept with His wives in public view. 2 samuel 16:12-21 So they pitched a tent for Absalom on top of the house, and Absalom went in with His father’s concubines in the sight of all Israel. God forgives us, but from that punishment,we must learn never to go that way again. But when you know there are punishments behind acts of disobedience , you will flee from that sin. We must also learn to move on from the past and forgive ourselves and understand that God only allowed things to happen for our good. Not to destroy us, but to move us away from the things that are destroying us instead. God loves us so much that even though its painful for Him to punish us, He must do it so we walk the right path. He must do it so our souls will come to Him and not be torchoured in Hell. Imagine a father knowing that their child is doing something that is dangerous to them and will destroy them, a good father will not only warn that child but will discipline them so they never do that thing again. And God loves us even more than anyone could ever love us. So do you think He will watch and continue to let you walk down that road? So even though God forgave David, and he was still wining battles and getting blessed, him and his household faced the consequence of his disobedience to God. Sometimes we can be in the midst of blessings and God has forgiven us for our sins. But God is loving and God forgives.But can still be facing consequences of some sins . Sometimes we get caught up in what we feel. Making decisions on how we feel. Even if it pleases God or not. But when we have the holy spirit living within us, we are alerted, prompted of the decision we are about to take that has punishments. Sin has consequences, just us there are rewards for good deeds, every bad deed has has punishments as its fruits. God sees all sins as equal, but not all sins have the same punishments here on earth. Some punishments are greater than others. Joseph makes it known to His brothers who He was, and does not blame them for selling him or trying to kill him. After all that happened to him, everything started to make sense. Joseph did not know from the beginning the reason why he was sold as a slave. He did not understand why he had to be away from his family. He did not understand why oneday he was in his fathers house and the next day a servant in an unknown land. At the beginning it seemed very obvious that his brothers were the reason to blame for all he went through. Sometimes certain situations you may find yourself in just don’t make sense at the beginning. You may be thinking but “I did not do anything to go through this struggle”. I prayed, I worshipped, I cried out but things just don’t add up. But everything will make sense in the end. Every trial and every struggle will make sense in the end. You may not understand why you are going through that situation, but trust that God knows and has a much better plan ahead. That what you are going through will not be a waste of time. That God has a plan for your life. Don’t let people’s opinion make you give up. Your future is not based on people’s opinion over your life. Your future is based on almighty God’s opinion who is omniscient. Yes people will tell you someone went through exactly what you went through and didn’t make it, so you should give up. But don’t give up, God still has a plan. Nothing is impossible for God. Keep your eyes on God not on people. Just like Joseph, you may not understand why life has been like that for you, you may not understand why it seems to be working all out for people around you but you, you may not understand why there hasn’t been answers to questions. But it will all make sense in the end. God has it all planned out. But you have to trust Him. Trust that because He knows the end from the beginning He’s got you. Even though His brothers were envious of Joseph because of how his dreams looked. It wasn’t all about Joseph in the end, it wasn’t to make Joseph greater than all the people on the earth.God’s plan was to use Joseph to save the lifes of people. To preserve the prosperity on the earth. It all made sense to Joseph that there was nobody to blame. Not his brothers, not the things he went through, not God. That everything He went through was for a reason. If you just hold on when life gets tough. 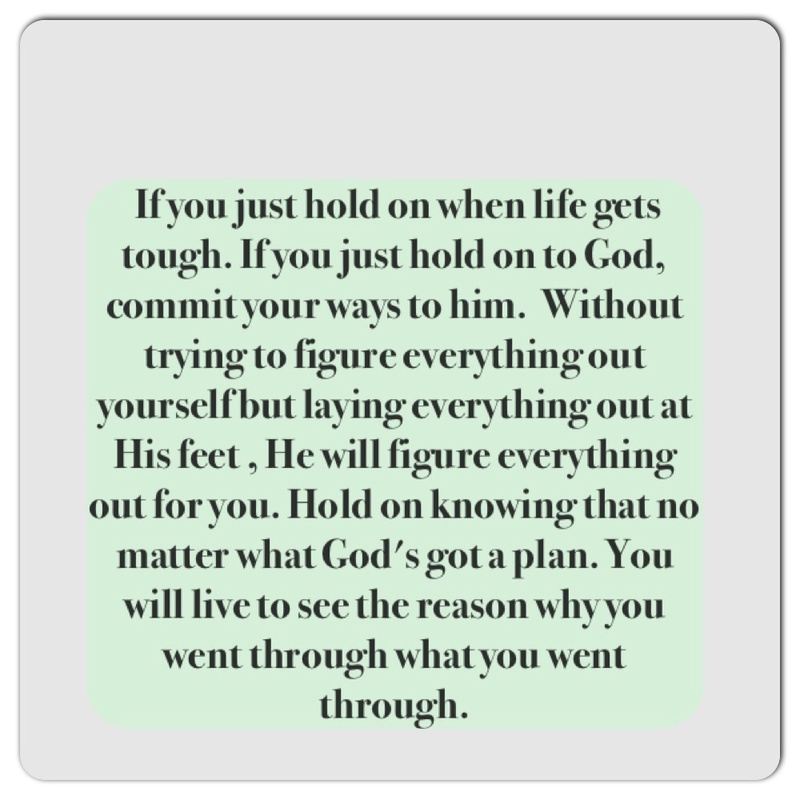 If you just hold on to God, commit your ways to him. Without trying to figure everything out yourself but laying everything out at His feet , He will figure everything out for you. Hold on knowing that no matter what God’s got a plan. You will live to see the reason why you went through what you went through. The dreams God revealed to joseph happened exactly as he dreamt. This is the dream Joseph had and told his brothers before they sold him into slavery. Genesis 37:9 Then He dreamed still another dream and told it to His brothers, and said, “Look I have dreamed another dream. And this time, the sun, the moon, and the eleven stars bowed down to me. And this is the dream coming to pass. Now Joseph was governor over the land; and it was he who sold to all the people of the land. And Joseph’s brothers came and bowed before Him with their faces to the earth. The dream did not come from Joseph., the dream came from God. Who is the author and creator of the universe, so why would it not come to pass? The only way the dream will not happen is if we don’t accept and believe the dream. If God has revealed a dream to you , nobody can stop that dream, the only person that can stop the dream is you. If we continue to walk with God and in obedience with Him. Joseph was able to stand the trials and temptations and test before seeing His dream come true. 1. He did not give in to portiphars wife, He feared God. 2. He was able to stand during the tough times in prison. He was able to make the best out of His circumstance in prison.He served in prison. Are we still spending time with God in the tough times? Are we still reading His word? Are we still living in obedience in tough times? 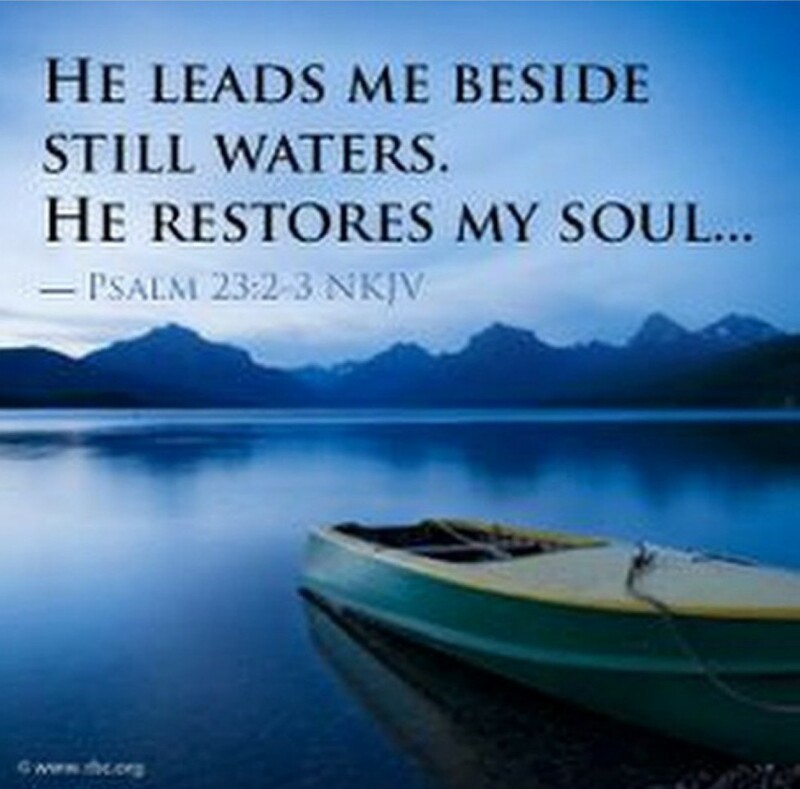 Do we stilll believe we have hope in tough times with God? Do we still treat people right? 3 . Joseph was patient in prison. Are we patient with God to open a door himself and not open our own doors? When the kings butler had a dream and Joseph interpreted the dream,Joseph told him to remember him and mention him to pharaoh so He can get him out of prison. But the butler forgot Joseph. Now look at this… In God’s own time and with God’s mighty hand Joseph came out of prison, and he wasn’t just released. He was released to be king. 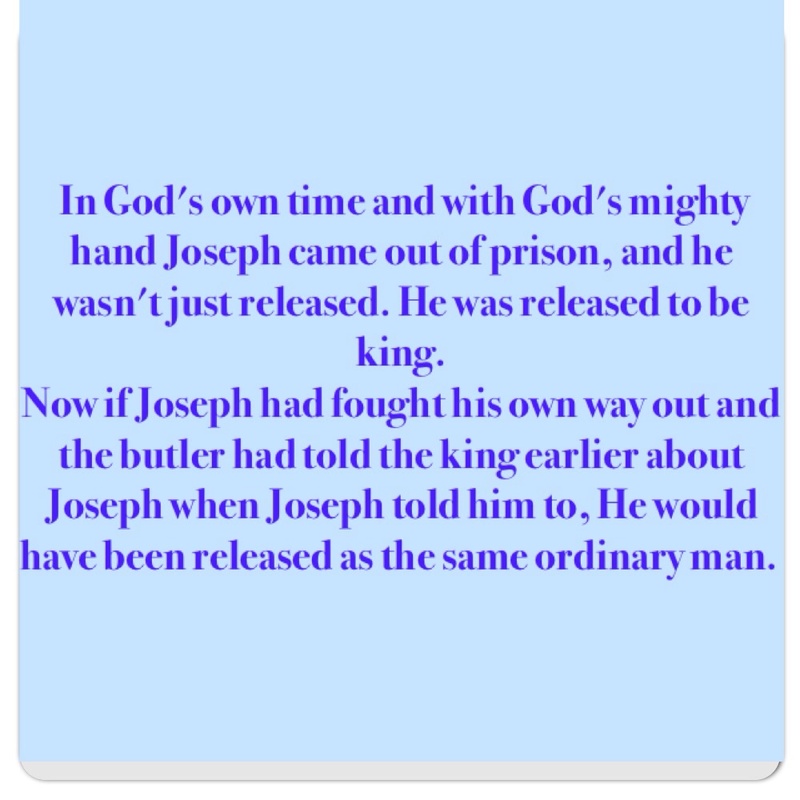 Now if Joseph had fought his own way out and the butler had told the king earlier about Joseph when Joseph told him to, He would have been released as the same ordinary man. Sometimes there is a reason why your breakthrough can take so long. There is a reason why your dreams haven’t come to pass yet. There is a reason your prayers haven’t been answered yet. Be patient. Wait on God. Because God himself will cause mountains to move on your behalf. God doesn’t want you to come out of your breakthrough the same as you are now. He wants you to come out a king, a queen , a publisher, a singer, a mighty man and mighty woman. When we are patient for God to move in His time, our blessing will be bigger. But when we are inpatient and figure things on our own, nothing great comes out of it. So not seeing your dreams coming to pass now and your breakthrough now doesn’t mean God has neglected you or its not going to happen. Something great has to come out of all the crying and the praying and the worshiping and the patience you’ve had. Something great will come out of the obedience and commitment to God. Your time has not been wasted. God wants to release you greater than what you were prior to your difficulties, so be patient. Isaiah 40:31 31 But they that wait upon the Lord shall renew their strength; they shall mount up with wings as eagles; they shall run, and not be weary; and they shall walk, and not faint. God doesn’t just want your circumstance to change, He wants you to be the change. He is building a warrior out of you through the tough times, He is building a king,a soldier through the tough times. God built Joseph as a governor during the tough times in prison. He learnt to become the future governor in the tough times in prison. Lets continue to commit ourselves and seek God through every tough season so He can build as to be His warriors. Even the magicians of egypt and all the wise men could not interpret the dream for pharoah. Only God can. And God put the treasure in Joseph to accomplish that. Nobody has the treasure God has put inside of you and can use it like you. Only you can use the treasure to change the world. So you don’t need to compare yourself to anyone. Seek God and let Him reveal what He has put inside of you. God has appointed just you for a particular calling. For a particular purpose. Nobody can be you , you are unique and designed specially to suit this purpose. They can go to wise men and scientist and all sorts but no one can do it like you can. But how is anyone going to know if you dont step out? If you say am shy? Or i havn’t got the resources, or i will wait till next year. Someone somewhere is waiting to hear the words God has put in your mouth to step back from suicide. Someone is waiting to hear your testimony to stop the abortion. Someone is waiting to hear your song so they know all hope is not lost. Someone is waiting to read your book so they can step out of the sick bed. As a result of Joseph stepping out and using the treasure God has placed in him , He saved a whole nation from famine. If Joseph did not use what God had placed in him, a whole nation would have been severely devastated. In Joseph’s story its very clear that the treasure God has put in you is not just about you. Its about saving a lost nation, its about glorifying God. The treasure is not from you so give glory to who it belongs to ; GOD. When pharoah asked Joseph to the interpret the dream . Joseph said “It is not in me; God will give pharoah an answer of peace. Joseph made it very clear that he could not interpret pharoah’s dream without God. 2 corinthians 4:7 But we have this treasure in jars of clay to show that this all-surpassing power is from God and not from us. God is the one standing behind you and will direct you to release that dream, that idea, not you. So why are you afraid? Its not going to be in your own strength. But you don’t have to wait to be rich to use that treasure. Or own the biggest house. Your age , level of education, whether you have children or not, should not stop you. Just step out. Joseph was not a king before he interpreted pharaoh’s dream, he was coming from prison. He was a prisoner. God will do the rest if you step out. God’s treasure is not measured by your circumstance. It is measured by the ability of God. And am sure you already know nothing is impossible for God. Even the surrounding nations came to egypt for food. The treasure God put inside joseph was to deliver not just people from egypt from famine, but even outside of egypt. The treasure God has put inside you may be singing, writing, speaking, directing, drawing, sowing, designing ,dreaming, interpreting dreams,prophesying. Even if the list here does not link to you God still has something very specific for you. Your treasure will take you to places you havn’t seen. You treasure will be a blessing to you and others. You may not see how now. But joseph didnt see how either. He just stepped out. Joseph’s dream came to pass as a result of using the treasure placed in Him. He became head over pharoah’s house and all the people were ruled according to His word. He became wealthy and successful. The treasure God has put inside you will lead you to your purpose. May God give us the strength to step out and use His treasure and accomplish His purpose for our life’s. When Joseph was sold as a slave, everyone around him including His family probably thought His dreams had ended. But it was just the beginning of Him, not the ending . The beginning may have started bitter but there was a sweet ending. Joseph’s circumstances prepared and pruned Him for His purpose. Been sold as a slave to live in a land he’s never been before without His family, and having to serve may have seemed to be out of God’s plan.But everything Joseph went through was not a waste of time. Every stage of His life prepared Him for His purpose.One character I noticed Joseph learnt which was beneficial before He walked in His purpose was service. Even if you haven’t found your purpose yet or you have, and you feel like the place you working is nothing relating to your purpose, Keep seeking God for what He wants you to learn where you are right now. It may be that you will apply something you learnt from where you are right now later in the future when walking in your purpose. But keep seeking God and He will reveal more to you. Joseph Learnt to serve. The bible says Joseph served His master first. Before putting all that He has under his authority. If Joseph decided there’s no way i will serve This man and didn’t humble Himself where He was, He wouldn’t have been given the authority. Yes God favoured Him but He served first. God was preparing Joseph for his purpose. Yes when every body looked at Him as a servant, God was preparing Him to serve a country. God knew all the plans he had for him so he put him in places to prepare him for his purpose.Joseph being thrown into prison may have seemed like the worse thing ever. But even in the prison cell, he served, God was preparing Him for His purpose. The head of the prison left everything in his hand to look after. Before He could lead a nation, Joseph had to serve. He served his father. He served in portiphar’s house before becoming the head of the house. He served in prison before becoming in charge of the prisoners. What does that tell us. Before becoming a leader you first need to learn to serve. This may seem like you are at the lower rank, and it may seem like you are not important. But God wants you to know you are important to Him and you are being prepared for something greater. God wants us to be humble and be faithful in the little things. Even though where you are is not where you dream or imagine yourself to be, do what you need to do there and be humble. You are not here by accident, you are here for a purpose and everywhere you go is not by accident , you are there to know something. In prison Joseph served the prisoners. When God says He will work everything out for our good, He will. We don’t have to worry how or when. Portiphar’s wife was the cause of Joseph being in prison, but God used the bad circumstance to lead Joseph into his calling. Because its in prison that he had the opportunity to interpret the dreams of the kings baker and butler. And because he was able to do that when king pharaoh had a dream the butler told the king about Joseph. Is there a door of opportunity in bad circumstances? Are there people God puts in our path in tough times. Yes there is. May God open our eyes to see the door of opportunities in every circumstance.